Over a year ago the Opal ticketing system was introduced and the idea was to replace the old ticketing system in the hope that this might speed things for passengers in the mornings and afternoons when queues are fairly large. Instead Passengers are worse off, with longer queues and wait times simply to top up. Opal readers not working at stations or the incident that occured about 1 month ago where the entire Opal network simply collapsed leaving the Opal card unusable. You could save time by registering the card and applying an auto top up to the card, but you then have a 60 minute wait for the credit to apply to your account, meaning you can't really travel within the 60 minutes after topping up. And then there is the public mistrust with Opal and Government God, no one really wants their travel destinations recorded, and if you have registered and don't care who can see where and when you travel, you probably should re think that. Fares have increased as part of the Opal migration, so yes you pay more. Opal is a third party provider who make a profit off every trip you make and I can bet not many were told that. The system that Opal have in place for the equivalent to buying a weekly or monthly ticket is convoluted. Example: Instead of paying the $65 up front for a weekly ticket, you just use your Opal card every day, after 8 trips you get the rest of the week free. The problem here is that after 8 days I have spent $150.4 on Opal. 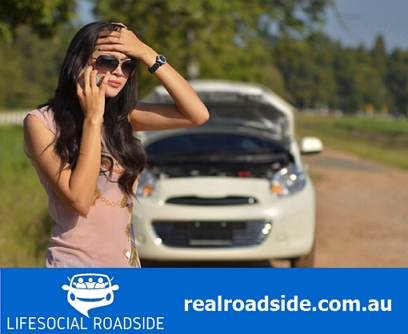 Now if a family was on a budget, spending the $94 instead of the $65 is a bit of a blow out and simply means more money in the pocket of Opal upfront. On the Opal website they claim that there is a $15 daily cap, so how come I have paid $20 for the one trip to sydney and back on the same day. I topped up with $50 in the morning and at the end of my trip had $30 remaining. With an Opal card you can enjoy travel all day for no more than $15 per day for Adult, $2.50 for Gold Senior/Pensioner, and $7.50 for Concession and Child/Youth Opal card holders from Monday to Saturday. They also claim that you will never pay more than $60 a week when travelling on all modes, yet I started with $20 on my Opal card and am nearly through my $50 top up as well. Making it $70. Townhall Station at 5:45pm on a wednesday. 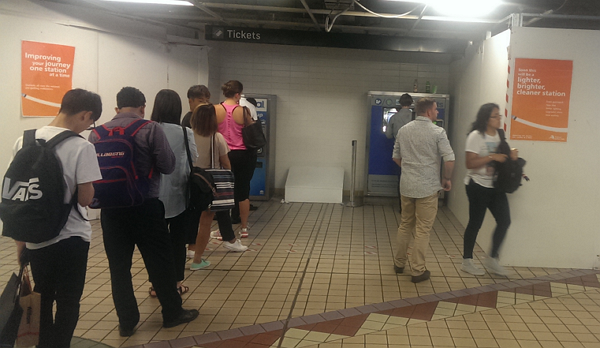 To the left is the line up for the Opal ticket machine. To the right there are 2 people waiting for the normal ticket machine.